The Grinch is an exciting and memorable fictional character created in 1957 by the author Theodore Seuss Geisel, more famously known as Dr. Seuss. 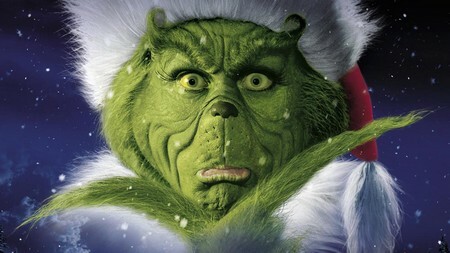 The character made his first appearance in the book titled ‘How the Grinch Stole Christmas’. He has become so popular and well-known that now, the word ‘Grinch’ has become synonymous with anyone who dislike celebrations and merriment, especially during Christmas. The Grinch does not like the people of Whoville, which is the central location on the Dr. Seuss television special. He lives in his cave, all alone, with his pet dog whose name is Max. He comes out of his cave on the holidays, particularly during the event of Christmas to cause chaos and mayhem among the residents of Whoville. He hates the Holiday season with great fervor and aims to incapacitate the merrymaking and celebrations of Whoville residents. Regarding Max, though he is a very loyal companion of Grinch. Grinch does not care him well. When the Grinch attacks Whoville, he forces Max to help him in his nasty goal to damage the Christmas fortitude. He sets up a pair of crooked antlers on the head of Max with the purpose of deceiving him as a reindeer. He also puts a sleigh on Max’s back where they keep stolen gifts and goods. The most fascinating is that the mountain where Grinch resides perfectly suits his cranky sounding name – Mount Crumpit! He does not like the sociable and happy Whos and he takes great delight in the thought that he can destroy and crush their festive spirit and passion by stealing their gifts and goodies etc. The reason why Grinch hated Christmas was because of his two sizes too small. Through this interesting story the writer wanted to convey some important facts about Christmas, which itself lead a variety of interpretations. That is probably the true beauty of this book and it certainly makes the readers to appreciate real essence of Christmas. There may be a possibility that Grinch hates Christmas because he feels estranged from the society due to his nature and unique appearance. This makes him spiteful and bitter and he thirst to ruin happiness around him as he probably feels he has been wronged. This story also gets to prove that just giving material gifts do not define Christmas. Even sometime Grinch himself realizes eventually, without material pleasures, Christmas brings along with it, enormous joy, trust and a sense of belonging. The Christmas celebration is to be with your loved ones and that sharing spreads contagious happiness, makes the Grinch repent his actions. As a result, he returns the stolen goodies and he was warmly welcomed by the Whoville’s people. At this moment his heart is said to grow three times bigger than previous one. The book, ‘How the Grinch Stole Christmas’ has been tailored into a television series special in 1966. It was produced by Metro-Goldwyn-Mayor’s MGM Animation / Visual Arts and directed by Chuck Jones. This was followed by two more television specials and a musical. In 2000, Jim Carrey played the title role in his unique style in the movie edition of this book.